Yeah, 40k generally seems more popular, at least in this area..
its been a while since i posted, been making a bit of progress, but also got distracted trying to finish my basement, which means a lot of sheetrock, frustration and time I havent made much progress on CSM recently, kinda lost interest for the time being, so they are taking a back burner. 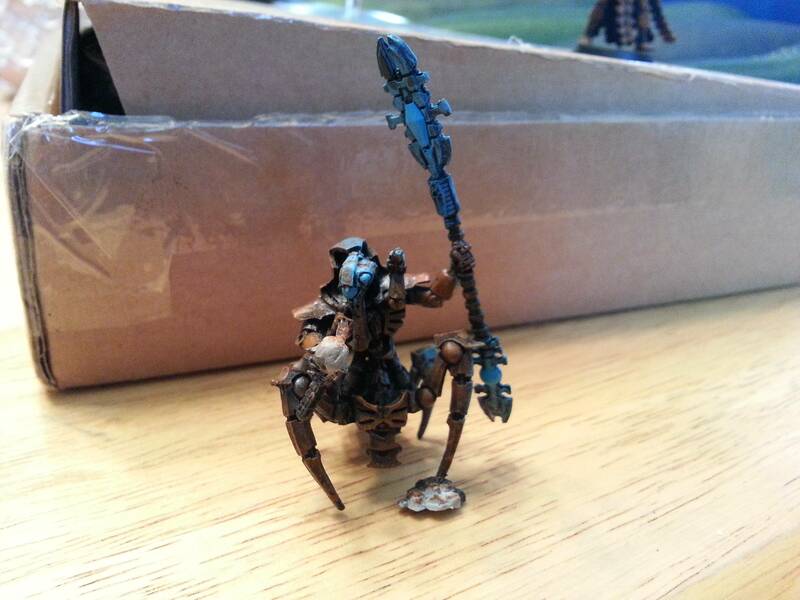 My O&G have been sidelined a little too by the fact that I found a random box of clanrats when moving stuff in the basement, so I ended up building and painting them up, along with a Doomwheel, which is mostly done, other than some of the details. 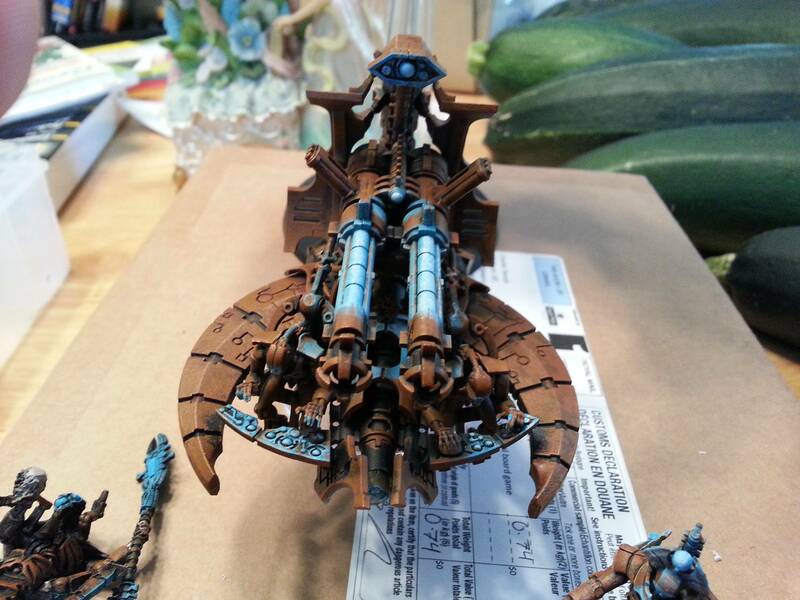 I must say that the Doomwheel is one of the craziest models I have ever built and painted, and I havent decided if a second will join it or not. This month im going to be focusing on the skaven part of the IoB set, which I ended up splitting with a friend, however i must say i was extremely disapointed when opening the box as it was missing several sprues worth of models! Anways, after a wall of text, heres some pictures! 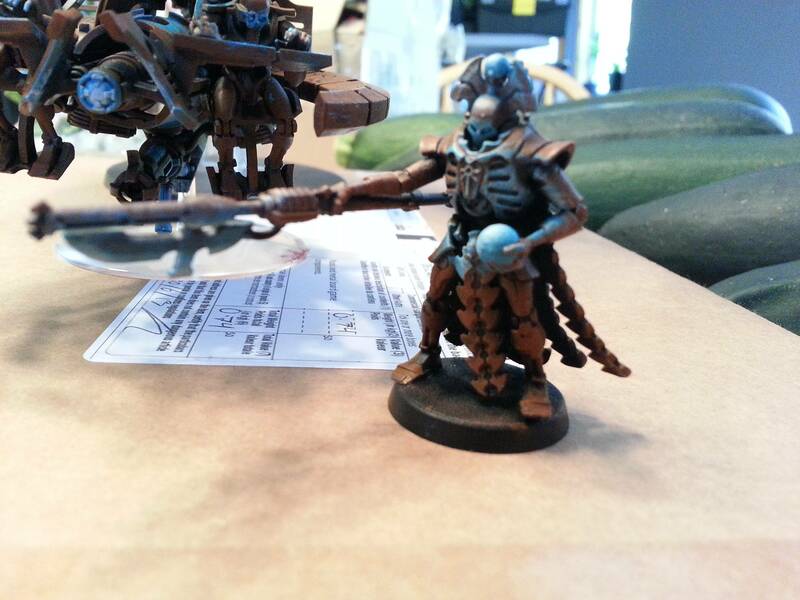 Clanrats - Will post pic of full unit this week, but heres an idea of the color scheme. 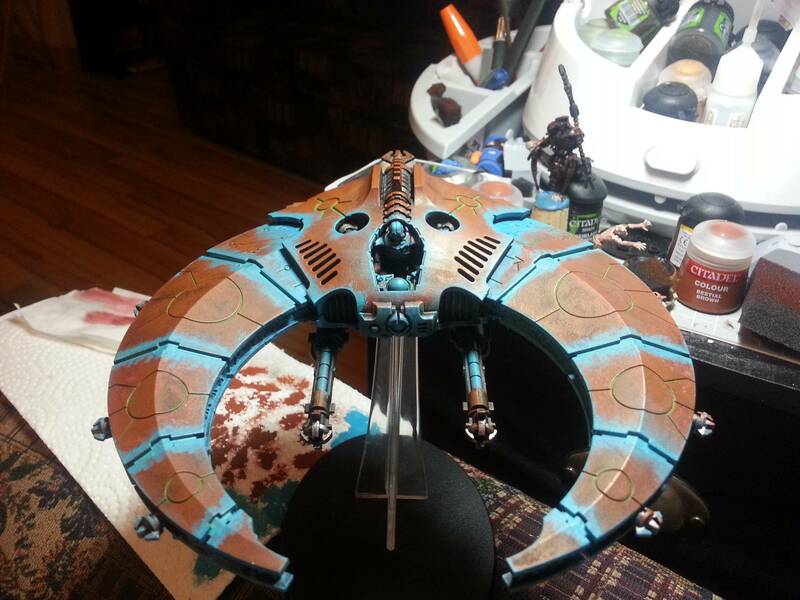 Other than the Metallics / Cloth its done with washes. CONTACT GW!!! Seriously, they will make sure you get what you were shorted. I buy a ridiculous amount of stuff from them, and they've fixed every problem I've run into. Try and have the box on hand, they may ask you for the batch code on it. If you don't have it, it's easy enough just to tell them you split it with someone and don't have it. Also, be sure you check the sprues completely. They are mixed between High Elf and Skaven. 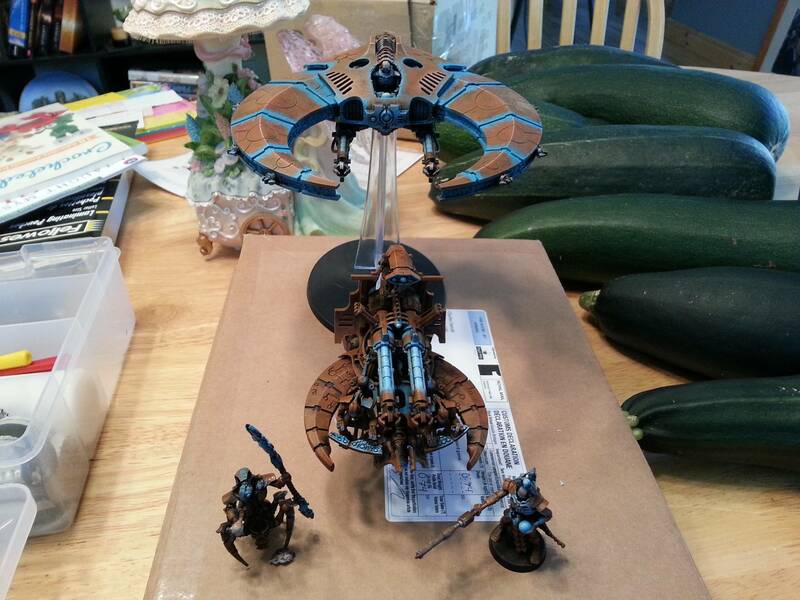 One thing i have found out about GW is that, despite their crazy pricing, their customer service is outstanding. I plan on giving them a call after work, as I intend to get that bloody sprue! I cut everything off and separated it, and despite tearing apart my kitchen / livingroom, i couldn't find the runaway sprue! I fought the urge to start skaven for a long time... i think its partially that they are so easy to paint and part they can cause almost as much damage to the enemy as they do to themselves! Haha, the BFSP was my first foray into the warhammer universe and holds a special place for me, so i must insist... buy it! Sarkastik wrote: Haha, the BFSP was my first foray into the warhammer universe and holds a special place for me, so i must insist... buy it! Well, its been a while since I last posted, but I havent taken (too much) of a break from painting. 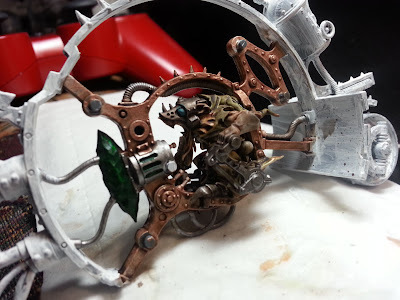 As of right now I have finished up The skaven from IoB and am almost done the doom wheel. I am hoping to take some pics this weekend. Wow, its been a while since I posted here... Time really flies. I like it. I have not been able to get rust right. 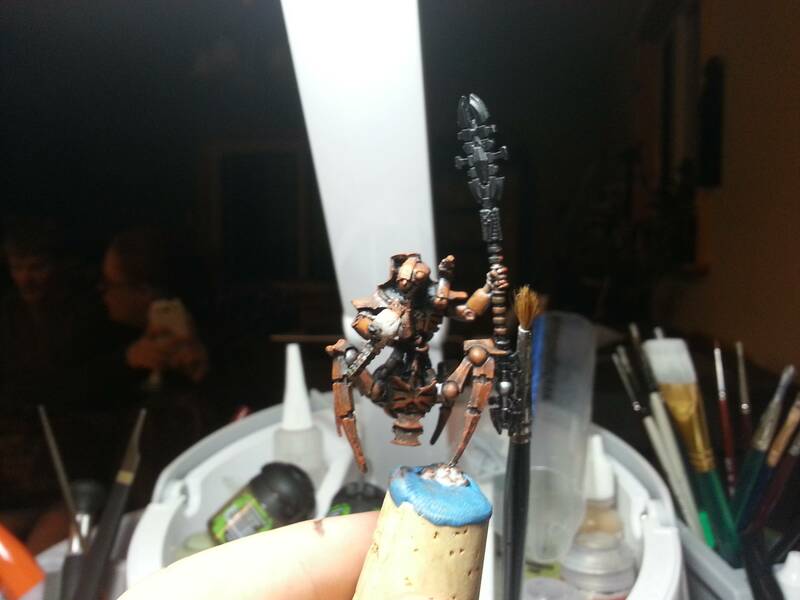 I am jelous...like your skaven BTW. 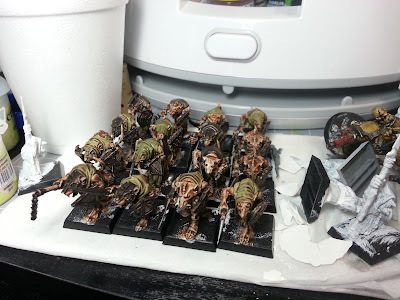 my skaven have come to a standstill lately, mainly due to lack of motivation... and the fact that i really don't want to assemble another 60 rats.. tried to force myself this weekend... got 2 together... we'll see how the week goes. 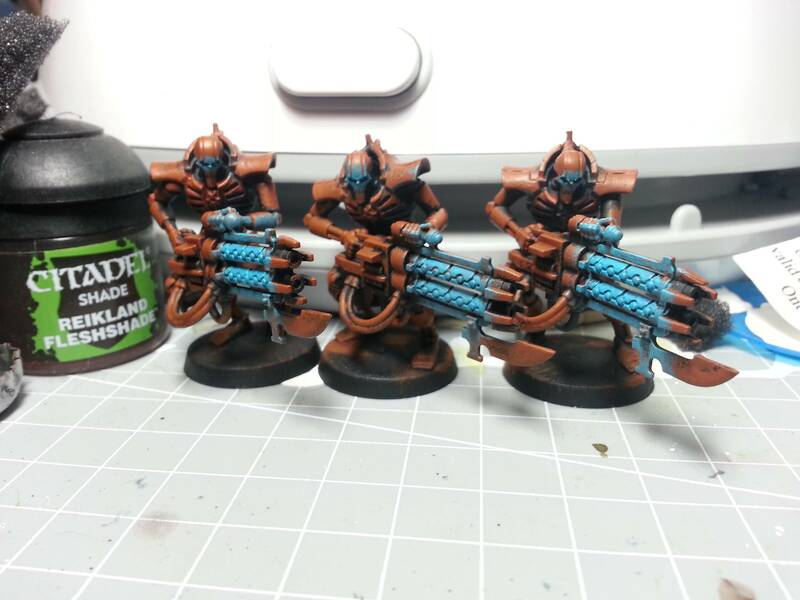 I found that the browns i was using dried darker than i had hoped... 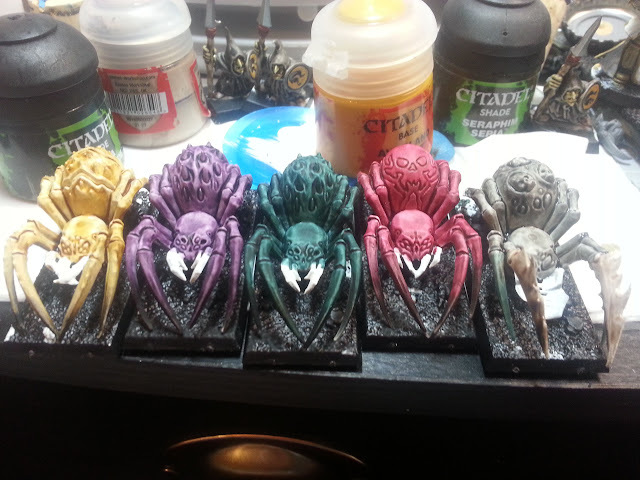 I think i will try what you suggested and add some more varied browns to it... vs the 3 that i used haha.